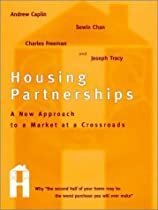 The new "Hope For Homeowners" program precludes struggling home owners from waiting for results from the massive $700 billion economic bailout plan which may never be as useful. Unauthorized use of this story is a copyright violation -- a federal crime. Deadline Newsroom - Struggling homeowners needn't wait for the vague home owner assistance provisions in the recently signed $700 billion economic bailout package ("Emergency Economic Stabilization Act of 2008," H.R. 1424), if they want relief from mortgage woes. The smaller $300 billion "Housing and Economic Recovery Act of 2008" (H.R. 3221) already contains key provisions offering aid for troubled home loan holders in today's turbulent real estate market. Signed into law in July, the recovery act is the same legislation that, among other provisions, created the Federal Housing Finance Agency (FHFA). That agency recently took control of mortgage giants Fannie Mae and Freddie Mac. Mortgage news that really hits home! The recovery act also created the "Hope For Homeowners" (Division A, Title IV, Section 1402 and Section 1403) program. Effective Oct. 1, 2008, Section 1402 allows troubled mortgage holders to avoid foreclosure by refinancing into smaller, more affordable, Federal Housing Administration (FHA)-backed mortgages, provided they give Uncle Sam a piece of the equity-growth action and provided the lender voluntarily agrees to the deal. Section 1403 was effective when the law was signed. It encourages mortgage servicers to modify loans for certain home owners to help them avoid foreclosure. "I think the modification portion is more important than the FHA deal because the FHA deal is a voluntary program and no one is forcing them to do it. Lenders are not going to write down the balance to 90 percent of the current value," as is required for Section 1402 action, said Gibran Nicholas, chairman of the CMPS Institute, a private organization created to certify mortgage bankers and brokers who counsel consumers on mortgage and real estate equity management, as well as home loans. Others say the refinancing provision is a better deal because it could generate more mortgage market interest in equity-sharing, a long maligned and often misunderstood, but potentially useful, creative financing technique. It's not yet clear how the more expensive $700 billion stabilization act will help home owners. Originally rejected by the U.S. House of Representatives, the legislation was modified and passed by the Senate as well as the House in a matter of days in late September and early October 2008. President Bush signed the package on Oct. 3, 2008. For home owners, the plan calls for federal agencies (including the Federal Reserve, Federal Deposit Insurance Corp. -- FDIC -- and the FHFA) holding mortgages and mortgage securities to identify loans that can be modified and proceed to modifying them. The provision is unclear about how that task will be accomplished. "The $700 billion bailout does have (home owner relief) provisions but it's a little unclear how it will work out," says Nicholas. The newer economic stabilization act also has provisions that would allow the U.S. Secretary of the Treasury to use loan guarantees and credit enhancements to help home owners avoid foreclosures. It also calls for shoring up the Hope for Homeowners (also known as the "H4H") program, but in both cases, again, the mechanics and timing are not clear. H4H is already up and running. It may take some time for lenders to gear up for the new FHA loans, but the provision's mechanics are clear and in place. U.S. Department of Housing and Urban Affairs' "Hope For Homeowners" fact sheets spell out the details. • The refinanced, 30-year, fixed rated FHA mortgages in the H4H program are for home owner-occupants (with no additional ownership interest in another home, say, a second home) having difficulty making their payments. • Banks are not mandated to write the loans, but can volunteer to write down an existing mortgage to 90 percent of the new appraised value of the home. Any holders of existing mortgage liens must waive all prepayment penalties and late payment fees and release the liens. The existing first mortgage holder has to accept the Hope for Homeowners loan as full settlement of all outstanding indebtedness. • The existing mortgage must have been originated on or before January 1, 2008, and the owner must have made at least six payments. • As of March 2008, the home owner's total monthly mortgage payments due must be more than 31 percent of the household's gross monthly income. • The loan amount on the new H4H mortgage cannot exceed $550,440. The amount can include a financed 3 percent "Upfront Mortgage Insurance Premium" and other loan costs. The home owner must also pay a 1.5 percent annual mortgage insurance premium. • The home owner cannot take out a second mortgage for the first five years of the new loan, except under certain emergency conditions. • The borrower must agree to share with the FHA, both the equity created at the beginning of the new mortgage and any future appreciation in the value of the home. If the home is sold or refinanced, the homeowner will share the equity with FHA on a sliding scale ranging from a 100 percent FHA share after the first year to a minimum of 50 percent after five years. The FHA will share a portion of equity earnings, when available, with past lien holders until any available appreciation is exhausted. Any left over appreciation goes to the FHA. Some experts say the FHA equity sharing deal is one of the best mortgage ideas to come out of Washington, D.C. since the Great Depression. In the private lending world, equity sharing is a symbiotic relationship -- as well as a legal agreement -- between two or more parties holding title to one home. Two or more parties share title in order to share the risk, thereby reducing the risk for both parties. Inevitably, however, home price appreciation is the bottom line. The property must grow in value over the term of the deal for it to really pay off and the esoteric nature of the deals in the already confusing world of home financing has kept the creative financing strategy out of the limelight. Jeff Langholz, founder and CEO of HomeEquityShare.com, an online network that matches equity sharing partners, says the federal move could change that by raising the profile of equity sharing and give it a boost in a private market that could use a little creative financing these days. "Every transition in life comes with intermediate stages. Before you are married you get engaged, before you get your driver's license you get a learner's permit. Before you get to home ownership what intermediate transition is there?" he asks. "The feds are about to take equity sharing to the next level," says Langholz. He says not only does the home owner have to convince the first mortgage holder to go for the deal, the second mortgage holder, if there is one, also has to give up any claims, in exchange for hope that there will be an equity pay off later. In a credit market as frozen as the Siberian tundra, risk adverse lenders more often just move onto foreclosure to get their cash back, according to a host of post-mortgage meltdown studies. Nicholas says a second "Hope" provision for suffering home owners, Section 1403, is a better deal. "It kind of got lost in all the confusion of the last several months. Many people are not aware this option exists, we are so focused on the ($700 billion) bailout," he said. 2. The home owner is living in the property as his or her primary residence. 3. The lender is likely to recover more through the loan modification or workout than by forcing the home owner into foreclosure. However, it's up to the home owner to prove, in writing, his or her case to the lender and that could take some negotiating, even legal wrangling. To help home owners make their case, Nicholas offers a sample letter containing more assistance, and tips to help home owners negotiate a loan modification. • Deal directly with a representative of the lender's "loss mitigation" or workout department, not a broker, loan originator or other mortgage staffer. default in order for lenders to be compelled by law to help you. the modified loan terms under your present financial circumstances. "The key is to demonstrate how the lender is likely to recover less money through foreclosure than they would by working with you in your proposed loan modification plan," Nicholas said.  "Foreclosure Prevention Efforts Grow"
 "$700 Billion Bailout Busted, Wall Street Plunges"
 "Feds Foreclose On Fannie, Freddie"
Broderick Perkins, an award-winning consumer journalist of 30 years, is publisher and executive editor of San Jose, CA-based DeadlineNews Group -- DeadlineNews.Com, a real estate news and consulting service and Web site and the new Deadline Newsroom, DeadlineNews.Com's news back shop. In both cases, it's news that really hits home!